'Wired' interviews Idan Yahya, who has shot down eight enemy rockets. "It definitely reminds me of Warcraft," he admits. 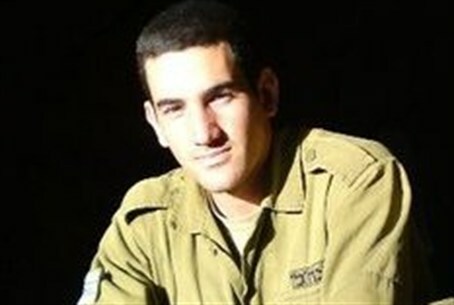 The IDF's current record-holder for shooting down enemy rockets with the Iron Dome system is Idan Yahya, 22, who is featured in an interview by Wired magazine. Active Air Defense Wing 167's top gunner admitted that he spent “a lot of time” in his high school years playing Warcraft — the real-time strategy computer game where opposing players command virtual armies in a battle to dominate the fantasy world of Azeroth. Azeroth has morphed into Sderot, however, and Yahya is one of the soldiers who mans the batteries that defend Israel's southern cities from real-life attack. "There are a lot of flashing blips, signs, symbols, colors and pictures on the screen," he told Wired. "You look at your tactical map; see where the threat is coming from. You have to make sure you’re locked onto the right target. There’s a lot of information and there is very little time. It definitely reminds me of Warcraft and other online strategy games." Each Iron Dome battery is "a mobile battlefield installation that meshes radar information from a mini multi-mission and fire control radar, powerful networks and processors, launchers, GPS-guided rockets, and human operators pushing the buttons and making the decisions," writes Amir Mizroch for the magazine that caters to the hi-tech world. "The Iron Dome’s ‘brain’ then, and what makes it such a successful system is its powerful ‘trajectory prediction mechanism,’ which assesses where along the trajectory the intercept point is going to be." “When I shoot one down, I feel happy, satisfied," Yahya said. I try disconnect from my feelings when I’m at the controls though."